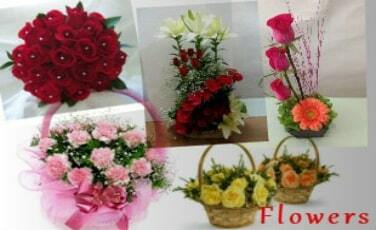 iFlorist Delhi specializes in delivering the freshest cut flowers across Delhi NCR. Our major focus lies in offering flowers bouquets, flower hampers and flowers in vase to our customers at large. We have the biggest variety of flower bouquets and flower arrangements for delivery in Delhi NCR. Brilliant designs, vibrant shades, and pure essence of nature – these are the hallmarks of every flower delivery we undertake for you. Be it carnations or roses or any other exotic flowers, you can be assured of prompt delivery. Your expression of love and appreciation is augmented with the refined taste in graceful flower arrangement from iFlorist – the best online florist in Delhi. We have a proven track record in delivering a breathtaking array of blossoming flowers for every type of event and function. Marriage ceremony, individual flowers, bouquet – you name it, we have it. The sun-kissed flowers are perfect to express a range of emotions from the heart. 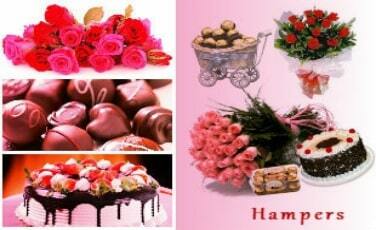 With us, you can send flowers online to Delhi NCR and convey your message to your loved one. Since our flowers baskets and bouquets are priced reasonable, they suit best for any occasion, event or function. We have the facility of sending a single rose or a bunch of flowers or bulk flowers to the concerned person in Delhi on your demand. We provide a range of online flower delivery services in Delhi, Noida, and Ghaziabad. The exquisite arrangement of flowers like rose, lily, orchid, and carnation is sure to perk up your mood and generate motivational vibes around you. We provide delivery 7 days a week (except national holidays). You can be certain of getting timely delivery when you have our team at iFlorist working hard to source the mesmerizing flowers to make your day extra special. We also deliver custom gifts for a range of occasions – Birthday, Anniversary, Valentine Day, Father's Day or Mother’s Day. You don’t need to be limited to the number of options available to celebrate the occasions close to your heart. Be it a large scale birthday, anniversary or wedding celebration or a smaller get together for the family, we are sure to have something for every occasion. Get fresh cut flowers and uplift the ambience with its radiant appearance and soothing fragrance. Celebrate the occasion called LIFE with a bouquet of bright and tropical flowers. Our creative experts have brilliantly blended love and emotions in order to deliver the best gifts for all occasions. Rely only on iFlorist Delhi for the choicest fresh flowers delivery in Delhi. We feel that our senses are delighted when they are in the presence of flowers. We ensure to deliver the freshest produce that is refreshed every morning, evening, and midnight. The efforts that we take to provide nothing but the freshest flower arrangement is evident. You will never receive a stalk of stale flower in your delivery. You need not spend a lot on exotic flower delivery services. With iFlorist you can get hold of fresh flowers along with its radiant aura for far less than at other places. We bring to you exclusive deals on flowers bouquet and floral arrangement. This lets you save more on your next order placed online at iFlorist Delhi. The bright colors, refreshing look, symmetrical arrangement, and phenomenal fragrance of our flowers will make you come back to us for more. Need flowers today or at midnight? Looking for a last moment option to surprise your loved one? Is it an occasion worth remembering but somehow slipped through your mind? Then you definitely need to go for a quick-fire delivery of flowers to provide that element of finesse into your surprise. However don’t just settle for anything. Nothing expresses your love and affection better than flowers. So why don’t you say it with vibrant, bright, and fresh flowers made available to you with the express delivery services offered by us at iFlorist Delhi? When you remember that today is his/her birthday or anniversary and today you have to send flowers too, what will you do?, so we are here to solve it. We have such experienced delivery boys who know every street in Delhi and NCR they will deliver flowers, safely in a short time, same day or midnight (twelve o'clock at night) to your house or wherever you want to deliver in Delhi, Noida or Ghaziabad. The combination used in our arrangement is a highlight of our expertise in everything around flowers. Be it yellow lilies paired with red carnations, or half a dozen orchid flowers arranged in a matching bouquet, you can be assured of our refined taste augmented with a touch of creativity. The exclusive flower designs are customized to suit the occasion at hand and your personalization request. This way, you can get only the most eye-catching designs of a range of flowers. You can pick from rose, lily, daisy, carnation, orchid, gerbera, tuberose, and gladiolus. Our range of flowers is always a sheer delight to buy into and since every bouquet is priced low, you can be rest assured that buying one won’t pinch your pocket. We pack differently to give flowers more beauty. We use special jute from Assam, crepe paper, net, and chunni because you definitely want that the bouquet you send should be very attractive. When you buy the flower or send it to someone, then the container is also necessary to keep the flower fresh, for this, you can also take various types of containers like cube, square, small and big containers from here, in which you can keep one to 50 flowers. Why limit your gifts to just flowers? 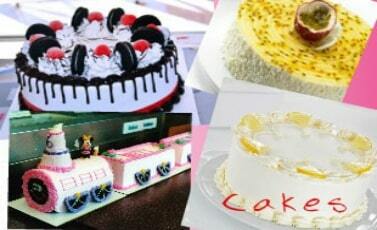 We also deliver cakes in Delhi along with flowers; you can also blend other items like chocolates and cakes to create your own range of exciting gift hampers to suit a specific occasion or the preference of the recipient. Be it orchid and chocolate marble cake, combo of rose's bouquet, pineapple cake, teddy bear soft toy, and Dairy Milk chocolates, or two baskets of red roses and Ferrero Rocher chocolates, the list of items that can be paired together in different arrangements is practically limitless. Check out these hampers on our site to see what we mean! For that, you have to click on your favorite flower, under the product you will find various add-on products such as flowery cards, teddy basket, special birthday & anniversary handmade chocolates, click & add it to your gift. Flowers are the best conveyor of love and if you are still to express your love to your girlfriend then don’thold upany longer. Love is supposed to be spread universally and therefore keeping it in your heart won’t take you to your destination. Hence, be courageous, be bold, and send Valentine flowers online with iFlorist Delhi to the love of your life with whom you desire to spend the rest of your life. Q. Flowers will be fresh or not? A. We always send fresh flowers. Q. How much time will it take to deliver flowers to this area of Delhi if I order now? A. Flowers can be delivered in any area of Delhi in 3-4 hours. Q. Which is the cheapest flower bunch, how much is the price, and where is it? A. The cheapest flower cost is 245 rupees and it is here. Q. I want to send flowers to Janakpuri, Dwarka, Rohini, Noida, Vasundhara, etc, where will these flowers go from? A. We have flower delivery stores in North Delhi, East Delhi, South Delhi, West Delhi, Noida & Ghaziabad to distribute flowers to all over Delhi & NCR. Q. I have to send greeting card with flowers, is it possible? A. Yes, you can add birthday, anniversary, sorry or love cards, which are available under the product detail as add-on products. Q. At what time the flowers will reach at midnight? Q. At What time flowers can be delivered early in the morning? Q. How do I know if the flowers are delivered or not? A. You will get SMS & Email after dispatch the order and after delivery.